Rechteren Castle is a Dutch castle situated on an island on side-branch of Overijsselse Vecht river, near the village of Dalfsen. 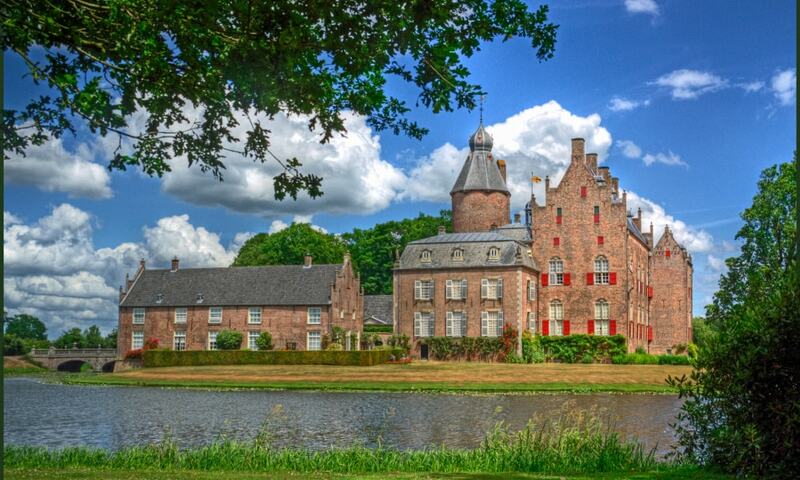 It is the only castle in the province Overijssel from the Middle Ages that still exists. The castle has been renovated and extended several times throughout the centuries. In the 18th century, two wings were added to the main building and the main building and the main tower were transformed in neogothic style. In the 1950s however, all the neogothic elements were removed, and the 18th century style of the castle was restored.